Miles Heizer Photos, News, and Videos | Just Jared Jr.
Bonnie Wright gets scared by two monsters during her visit to Universal Studios Hollywood’s Halloween Horror Nights over the past weekend in Los Angeles. The former Harry Potter actor and director got the fright scared out of her at the park. Meanwhile, 13 Reasons Why stars Miles Heizer and Dylan Minnette were also seen at the attraction, too. The guys stopped by the Stranger Things maze during their visit. Find out more about the annual attraction, which runs up until Halloween night, online now! Katherine Langford Joins '13RW' Cast at MTV Awards Once Last Time! This is the last time Katherine Langford will be attending the MTV Movie & TV Awards alongside the cast of 13 Reasons Why! The 22-year-old actress, who left the Netflix series after season two, walked the carpet with her co-stars on Saturday (June 16) at Barker Hangar in Santa Monica, Calif.
Katherine was joined by castmates Dylan Minnette, Brandon Flynn, Tommy Dorfman, Miles Heizer, Alisha Boe, Ajiona Alexus, Ross Butler, Justin Prentice, Timothy Granaderos, Devin Druid, Brandon Larracuente, and Christian Navarro. 13 Reasons Why is nominated for two awards at the event – Best Show and Best Performance in a Show for Katherine. FYI: Katherine is wearing a Giorgio Armani dress with jewelry by Borgioni and Narcisa Pheres. Alisha is wearing a Markarian dress. Brandon L. is wearing a Mr Turk suit. Ross is wearing a full The Kooples look. Brandon F. is wearing an Etro suit. Last we saw Alex on 13 Reasons Why, he had no idea that Jessica and Justin had rekindled their relationship. Miles Heizer chatted with ET about the little love triangle that emerged in season two of the Netflix series. “I think that he doesn’t really know yet, so I would imagine that he would be, he’d feel a bit heartbroken,” he shared when asked about Alex’s reaction to the reunited couple. He hoped the cast and fans would get to find out in another season – and we will, seeing as the show was just renewed for a third. The cast of 13 Reasons Why got together for a special Netflix event! 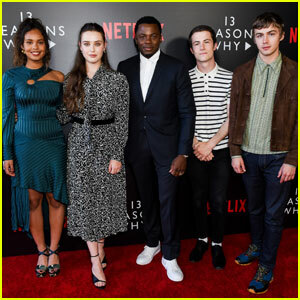 The cast – including Katherine Langford, Dylan Minnette, Derek Luke, Alisha Boe and Miles Heizer – hit the carpet at a Netflix FYSee event on Friday (June 1) at Raleigh Studios in Los Angeles. During the panel discussion, creator Brian Yorkey opened up about what fans can expect if the show is renewed for a third season. 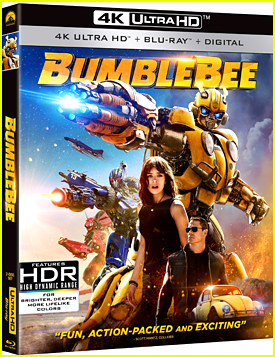 “I think the themes are sort of inherent in the action of Season 2. It’s a question of, is there more story to tell, do we want to see these kids not only continue to recover, but, how do they bring forward into their lives the thing they’ve learned about what they’ve been through?” Brian said. Meanwhile, Katherine once again said goodbye to the show, adding that she plans to always keep in touch with the show’s fans. “I think 13 Reasons Why will always be an important part of my life. It was the first job I ever had,” Katherine said. Justin Prentice and Miles Heizer step out on the red carpet for the 2018 Television Academy Honors held at NeueHouse Hollywood on Thursday night (May 31) in Los Angeles. The two 13 Reasons Why actors were joined by co-star Devin Druid, where they accepted an award on behalf of showrunner Brian Yorkey. One Day at a Time‘s Isabella Gomez was also seen at the event. We finally know what happened with Alex at the end of the first season of 13 Reasons Why – he survived his suicide attempt. However, it was revealed that he doesn’t remember it at all. 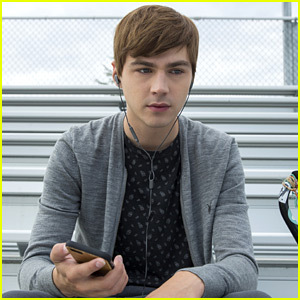 Alex, played by Miles Heizer, on the Netflix series, is recovering from a brain injury that also resulted in him losing a lot of his movement on one side of his body. “I think that for Alex, he wants to remember so badly because he wants to feel relevant in terms of helping Hannah and Jessica, helping the trial, and so he’s just trying anything he can to recover those memories,” Miles shared with Cosmopolitan. 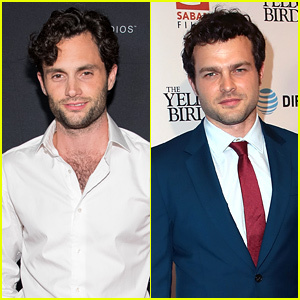 Throughout the new season, viewers also discover just why Alex attempted to take his own life – it was from the guilt he felt over Hannah Baker’s death. “It’s so complex because prior to his suicide attempt, he had all of this guilt and anxiety and he really shut them out. He didn’t open up to them [his parents] at all about Hannah, or about anything, so his dad didn’t have all the information,” Miles adds. 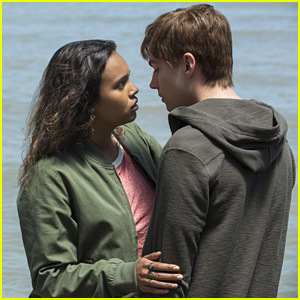 Alex is also getting some help from both Jessica (Alisha Boe) and in his surprising friendship with Zach (Ross Butler). 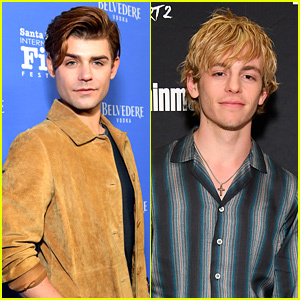 Our characters did have a friendship in the first season, but there wasn’t much elaboration on how close we were or how we interacted, so it was really interesting to work so much with Miles this year,” Ross told Elle. 13 Reasons Why is streaming now on Netflix.